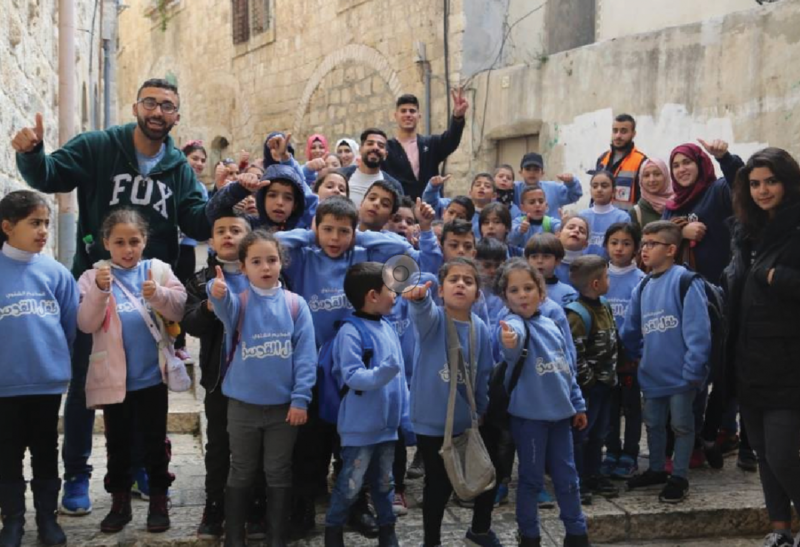 Burj Al-Luqluq Social Center Society, in cooperation with Terre des Hommes, launched the winter camp “The Child of Jerusalem 2” with the participation of 45 male and female Jerusalemite children for 4 days in a row. The camp aimed to make use of the school break to develop the skills of children through four different corners; drama, handicrafts, tele-match and parkour. Moreover, a tour around the Old City was organized where they visited one of the most ancient presses in Jerusalem to learn about how oil is extracted from the sesame seeds to make tahini.